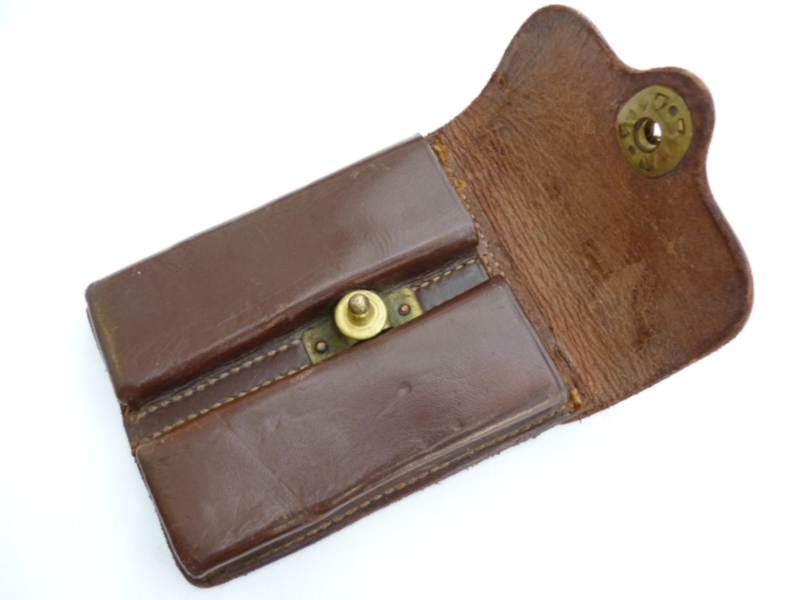 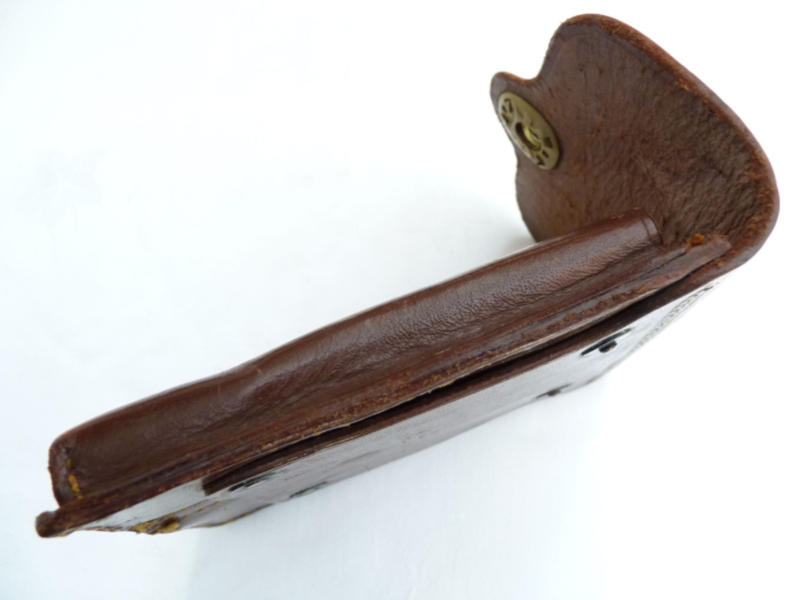 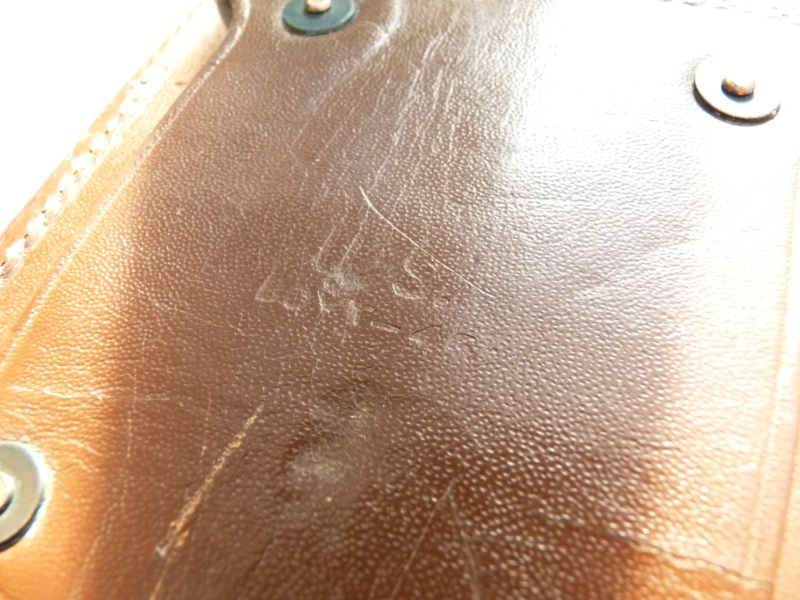 This is a genuine officer's issue double magazine pouch for, I believe, the Colt M1911 semi-automatic pistol. 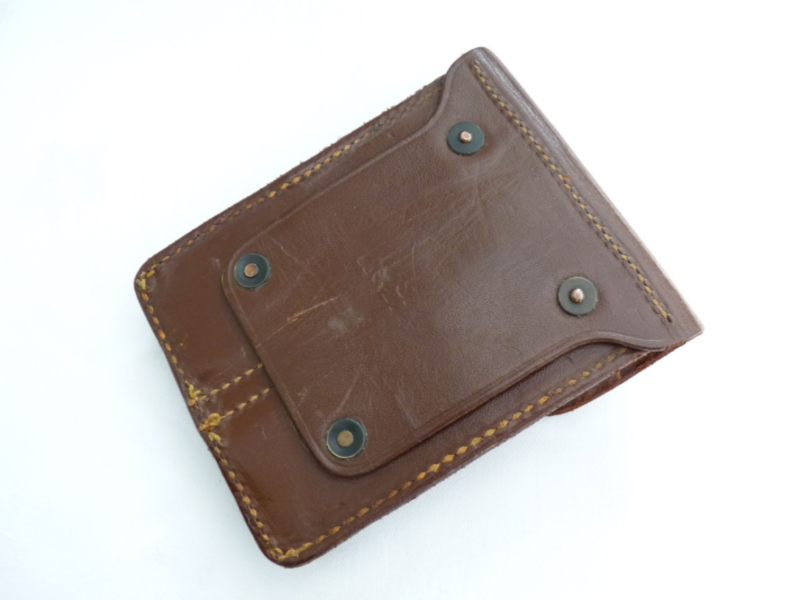 In brown leather, very good condition with perfect popper, and marked on the back BOYT under U.S. with a partially stamped 45 though could be 46. 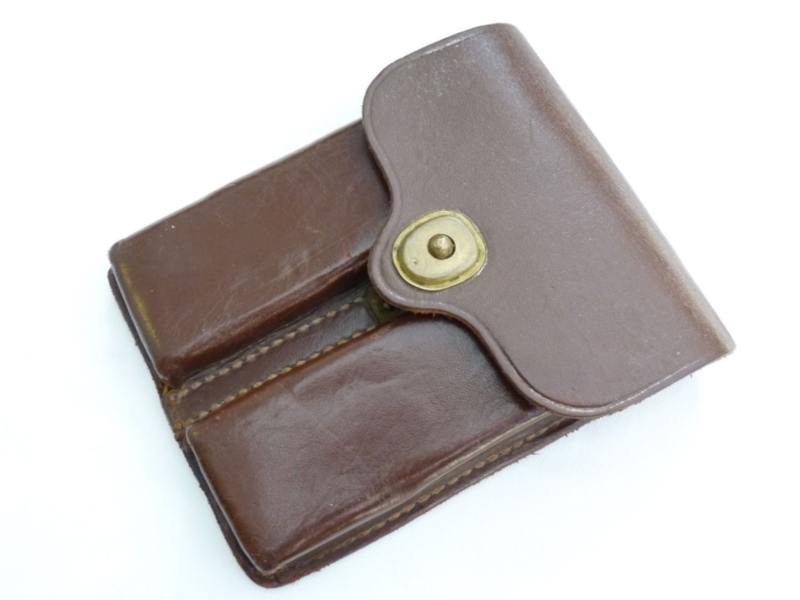 Measures roughly 5" by 4", each magazine pouch being 4 1/2" by 1 1/2", 1/2" deep.